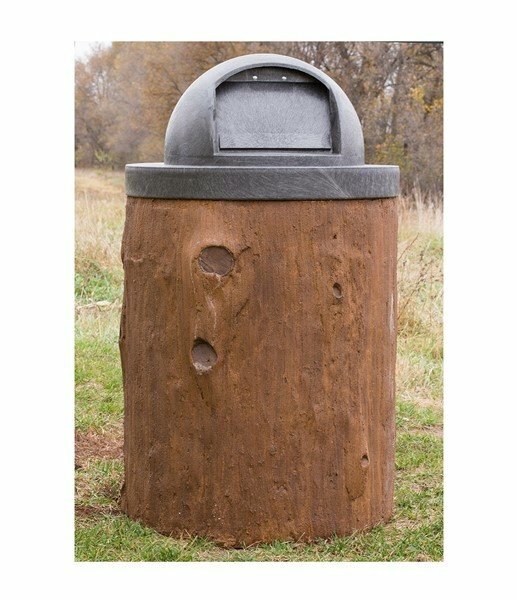 This commercial 32-gallon concrete trash receptacle features a unique log looking design, perfect for parks, restaurants, and rustic themed businesses. Made from heavy-duty fiberglass reinforced concrete giving the trash receptacle a real wood grain appearance while providing the life and durability of concrete. 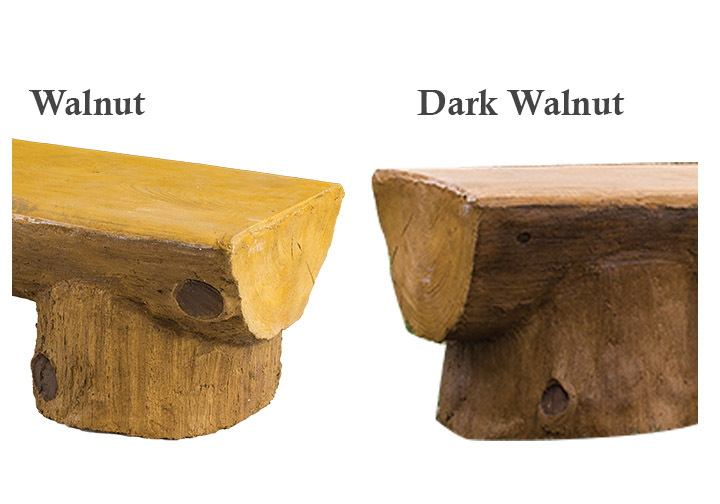 Choose between two natural wood finishes: walnut and dark walnut. 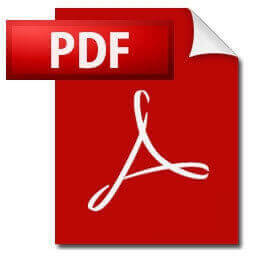 Includes a plastic dome top to prevent animals from getting into the trash. With a weight of 400 lbs., this trash receptacle will resist vandals and wildlife from tipping or moving it from its original placement. Give your establishment that natural look with long-lasting quality, with this 32-gallon log styled concrete receptacle! 48" Square Concrete Picnic Table with 4 Attached Seats - 1040 Lbs.